Violet found herself homeless with no way to pay for her hospital treatment and the memories of the fire plagued her emotions as well as left her with scar that in her mind left her undesirable to any future husband. But her luck turns around when her seamstress skills come in use for some Orphans going on the train and from there she hatches a plan to go as well. I loved this story because it spoke of struggle and heart ache but also the kindness of others and how understanding people can be if you become honest and give more than you take.. This novella had some really loveable characters to follow as well. 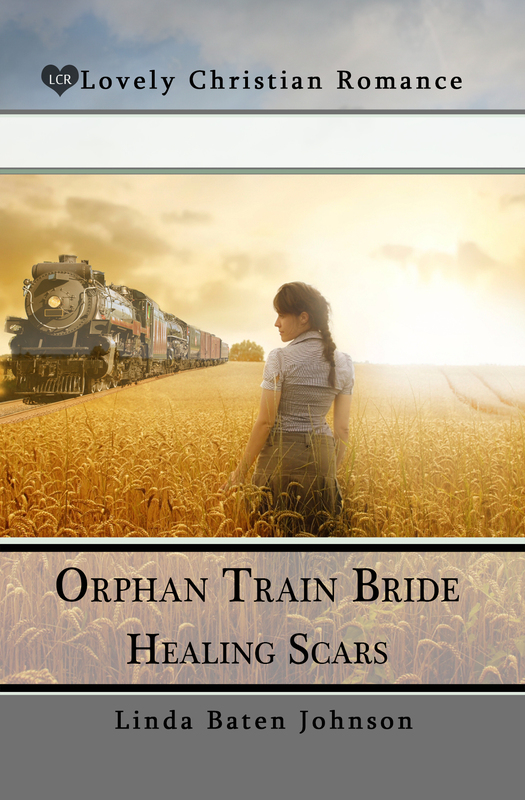 I would recommend this novella if you enjoy historical romance with a moving story and characters you’ll grow to care about then give this one a read… Amazon link Orphan Train Bride Healing scars By Linda Baten Johnson. Healing Scars By Linda Baten Johnson. Lovely review. Sounds like an interesting read. I hope you’re having a nice week..
Aw thanks Katie! I hope you’re having a lovely week. Sounds like a really engaging read. Me too Debbie love my books. this sounds like such an interesting read!